1100 Millecento, a luxury, pre-construction condo development, will be centrally located in Brickell at 1100 South Miami Avenue - just steps from Mary Brickell Village and the upcoming 4 million square foot Brickell Citicentre. 1100 Millecento will have 382 total units across 42 floors. The building will feature studios, 1 bedrooms, 1 bedroom &#43 den units, and 2 bedrooms. Baltus House is the latest pre-construction condo development from RELATED. It will be located at 4300 Biscayne Boulevard, within walking distance to the luxury shops and restaurants in the Design District. Baltus House will have 167 total units across 15 floors and will feature a state-of-the-art fitness center with designated yoga/Pilates room, rooftop terrace with Jacuzzi and BBQ grills, beautifully appointed clubroom and 7th floor swimming pool and over-sized Whirlpool. Baltus House is designed by international award-winning firm Arquitectonica. Icon Bay is a luxury pre-construction condo development which will rise 40 stories and have 300 total units each with private elevator access and panoramic views of Biscayne Bay and the Miami Beach skyline. The building will be comprised of 1, 2 and 3 bedroom units ranging from 928 to 1530 interior square feet in size. Each residence at IconBay will have 9-foot ceilings with floor-to-ceiling glass windows and be delivered designer-ready. All units will come with 1 assigned parking space but additional spaces will be available for sale. Icon Bay condos will be located at the eastern end of Northeast 28th Street along the water. Completion of Icon Bay is projected for March 2015. Currently under Construction with a finish date in early 2015, The Chateau Beach Residences, can be found in Sunny Isles Beach; comprised of 33 stories and 84 total units. 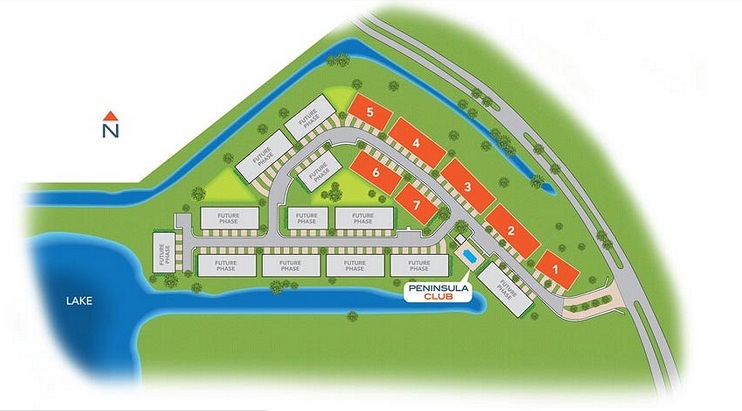 While the smaller units offer 1,488 sq. feet, the larger Penthouse units will range over 9,300 square feet and are priced anywhere from $1,100,000 to $3,000,700. The units feature 10-foot high ceilings, floor to ceiling glass windows, Italian cabinetry in the kitchens, and water views beautiful enough to call home each and every morning. Bay House Miami located at 27th and Biscayne, is set for completion early fall of 2014. Bay House, designed by Carlos Melo, and developed by Melo Group; will offer very large 2 and 3 bedrooms, flow-through corner units, with almost 1800 square feet; encompassing glass terraces, bay views, semi-private, high speed elevators, Italian cabinetry, imported stone counter tops, and pre-wiring for �Smart Building� capabilities. BrickellHouse, a luxury, preconstruction condo development, will be located at 1300 Brickell Bay Drive - directly across the street from Jade Brickell and Emerald at Brickell. The 46-story high-rise will have 374 posh condos and spectacular amenities amongst which will include a rooftop pool and sundeck. Newgard Development Group is the development team behind BrickellHouse. Sieger Suarez was selected to do the exterior design and Yabu Pushelberg will design the interiors. BrickellHouse held a groundbreaking ceremony on July 18, 2012 to celebrate the start of construction. The Bond at 1080 Brickell will make Brickell Avenue its new home come early summer of 2015. The convenient location is within walking distance to Mary Brickell Village and the soon-to-be Brickell CityCentre. The Bond will offer 323 units, 44 floors and 1-3 bedroom units which will encompass between 783 and 1,219 square feet. The building entices future residents with two valuable features; almost 600 parking spots which could potentially save future frustration and approximately 5,000 square feet of retail space in Brickell�s ever-so-busy, Financial District. Not to mention, this is the first residential unit to break ground on Brickell Ave since the last Real Estate boom in Miami, FL. The Crimson is located in the new and upcoming community of Edgewater offering condos, penthouses and townhomes. Crimson will feature 18 floors, 90 total units and views of Biscayne Bay and the city. The building itself is within walking distance to Starbucks and the new Publix on Biscayne as well as a 10 minute drive the American Airlines Arena, South Beach and Midtown/Design District Shops. The developer, MCKafka will work together with architect, IDEA to create a luxury residential condominium building that will offer a landscaped promenade sundeck, indoor mini-theatre, Cybercafe, business center, state-of-the-art gym and a C-Club pool deck and hot tub. Echo Brickell is the latest pre-construction condo development to be announced for Brickell. The elegant boutique development, which will be located at 1451 Brickell Avenue, will rise 60 stories and consist of 175 luxury residential units. Echo Brickell will feature a cutting-edge robotic parking system, prime ground floor retail space, a full-floor pool suspended over 250 feet in the air, a 4,000 square foot state-of-the-art sky fitness center and spa as well as 30 penthouse residences. Units will be delivered move-in ready and will feature 10, 12 and 14-foot ceilings. The development has been designed by world-renowned architect Carlos Ott. Delivery of units for Echo Brickell is scheduled for December 2016. Grove at Grand Bay, comprised of two towers, will feature 96 total residential units in the remarkable city of Coconut Grove. Grove is brought to you by architect, Bjarke Ingels Group, and developer, Terra Group. The units offer 12 foot ceilings and wraparound floor to ceiling glass while the Penthouse and corner units come equipped with 2-car-air-conditioned garages and a private elevator. All residents will have the option for butler services, on-site chef, pet services including washing, grooming and walking. Square footage for each unit will range from 1,297 to 5,723 with beautiful views of the marina and downtown Miami. 100 Luxury Town homes being built in Boca Point. Prices are to start at $425,000. Beautifull retirement community in the heart of Delray Beach. 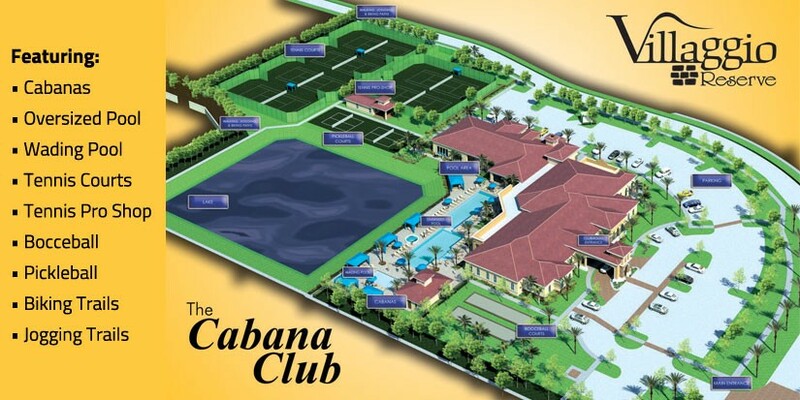 38,000 square foot Cabana Club and the perfect retirement community in the sought after Delray Beach. MyBrickell is a 28-story preconstruction condo development with 192 total units. It will reside in Brickell at 30 SE 6 St, Miami, FL 33131, within walking distance to Mary Brickell Village and just a few blocks from Brickell Citicentre, a $700M mixed-use development currently under construction which is bound to have a significant impact on the the real estate values in Brickell. As of August 6, 2012, MyBrickell had only 10 remaining units available for sale. Ocean Villa, condominium building will call the famous South of Fifth area, it�s new home. One Ocean provides exclusive membership to a private beach club, beautiful ocean views, a State of the Art fitness center featuring yoga classes, an Infinity pool by Enzo Enea as well as a designer outdoor clubhouse by Yabu Pushelberg. One Ocean is within walking distance to world renown restaurants, Nikki Beach, La Piaggia and much more. Once completed, One Thousand Museum will be one of the most spectacular residential developments in the world. It will be rivaled only by the likes of One Hyde Park in London and One57 in New York City. Internationally acclaimed architect, Zaha Hadid, has been commissioned to design the 62-story, ultra-luxury high-rise. One Thousand Museum will have only 83 total units and will be the only residential tower in Florida which will feature a helicopter pad on its rooftop. Private security concierges will also be assigned to the units at One Thousand Museum. Porsche Design Tower in Sunny Isles Beach will deliver 57 floors and 132 condominium units to its future residents in 2016. The units will range from 3,800 square feet to 9,500 and ascend to your residence by a glass elevator, encapsulating your car. This particular building will be one of the first condominium buildings that will allow residents to arrive directly in front of their door while sitting in their car taking all of 90 seconds or less. The prices range from 4 to 15 million and the building is offered by the developer, The Dezer Group, who partnered with Donald Trump to successfully complete this residential tower plus more. Each unit will have an oceanfront terrace including a private pool and summer kitchen. The residents will enjoy three pools, private cabanas, resort service at the pool or beach, full service spa and state of the art fitness center, and much more. The Residences at The Miami Beach Edition is ideally located along the beach on Collins Avenue and 29th Street in Miami Beach. Ian Schrager brings to you 26 one-of-a-kind limited edition residences designed by world-renowned architect John Pawson. The luxury development is a created from a landmarked 1950s building in combination with a newly constructed 18-story tower. The Residences at The Miami Beach Edition offers one bedroom residences to duplexes, triplexes and penthouses with private pools and outdoor kitchens. SLS Brickell Residences is the latest luxury pre-construction development brought to you by Related Group. It will be located at 1300 South Miami Avenue in Brickell and will rise 51 stories. The development will have retail at the ground level featuring three on-site restaurants including world-renowned Katsuya by Starck, Bazaar by Jose Andres and a restaurant by Michael Schwartz of Michael Genuine.